Starting on next week we will be doing something new, the first Toluna #Challenge. 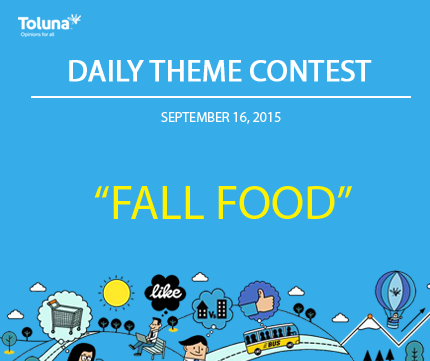 These #Challenges are all about having fun on Toluna while earning some extra bonus points. ♣ Starting next week we will post 2 sponsored polls a week with the hashtag #Challenge in the title. ♣ We will be launching two sponsored polls each week. Some questions will be about Toluna so you better read up on our FAQs and Site Terms if you want to be able to answer the questions correctly and win the bonus. Keep an eye out for that hashtag on Tuesday! If you have questions, please ask! Scary movies are not for everyone. Some hide their eyes, some scream, others can’t even watch them. We love to hate them and October is the perfect month to discuss them. Join us for this special weekend poll promotion about Scary Movies. Tell us if you love them, hate them, can’t get enough of them … anything goes! *This contest will be open until Monday October 17, 2016 at 10 AM EST. *Please note, any posts containing horrific/overly graphic images will be subject for removal and will not receive credit in this contest. *Promotion Rules: Open to US & CA residents only. Only one content piece per person will be rewarded. The poll must have the title “Scary Movies” included, and must be created by Monday, October 17th at 9:59 AM EST. Members will earn a 1000-point rank up bonus or direct credit to their account. Points will be awarded to winners within no later than Thursday, October 20th at 5 PM EST. Posts must not contain any language that is obscene, insulting, threatening, abusive, harassing, defamatory, libelous, untrue, misleading or invasive of someone else’s privacy. Toluna reserves the right to review all posts for content, and withhold bonus points from any user violating the rules mentioned above. Violation of these rules, and/or the Toluna Member Code of Conduct may result in the closure of your Toluna account. Tomorrow is St. Patrick’s Day! We are so excited to celebrate. Tell us and the community how you celebrate; maybe you have a story from the past? What’s your favorite Irish folktale? Maybe you want to talk about your traditions, or Irish history in your family. Whatever it is, create a piece of content and earn points! *This contest will be open until Friday March 18, 2016 at 3 PM EST. *Promotion rules: Limit one content piece created per person. The topic must have the title as given by the Daily Theme Contest post, and must be created within 24 hours of the topic posted. Open to US and Canada only. Members will earn a 1000-point rank up bonus or direct credit to their account. Points will be awarded to winners within 24-72 hours after contest close. Posts must not contain any language that is obscene, insulting, threatening, abusive, harassing, defamatory, libelous, untrue, misleading or invasive of someone else’s privacy. Toluna reserves the right to review all posts for content, and withhold bonus points from any user violating the rules mentioned above. Congrats to our member of the week janetlynne69! Click on their username to participate in all of this member’s fun and interesting content like this poll below. 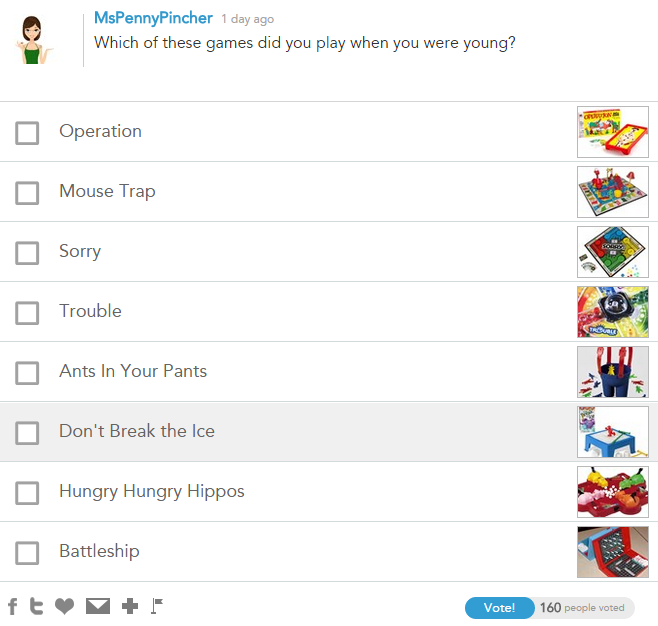 Thanks janetlynne69 for creating great content, and sharing your interests with the community! Yesterday was “Random Acts of Kindness Day,” so today’s theme is asking you to share an act of kindness, or tell a story about one time you were treated with kindness, even perhaps share one time you’ve extended a helping hand. Did you maybe pay for the person behind you in line for coffee? Did someone help you dropped your bag? Let us know! *This contest will be open until Friday March 4, 2016 at 10 AM EST. Thanks xandriamama for creating great content, and sharing your interests with the community! 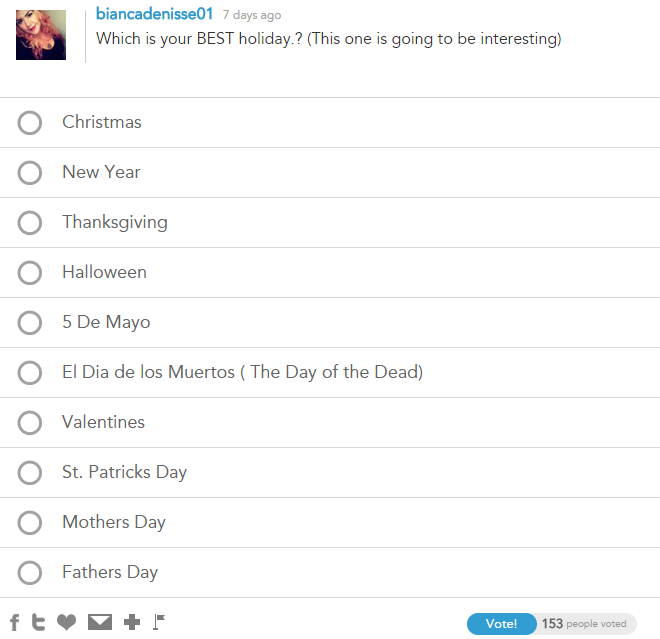 Thanks biancadenisse01 for creating great content, and sharing your interests with the community! As summer comes to a close (gasp! say it isn’t so!!!) we should discuss the change of seasons, and the new recipes and delicious fruits and vegetables that come along with it. *This contest will be open until Friday September 18, 2015 at 3pm EST. *Promotion rules: Limit one content piece created per person. The topic must have the title as given by the Daily Theme Contest post, and must be created within 24 hours of the topic posted. Open to US and Canada only. Members will earn a 1000-point rank up bonus or direct credit to their account. Points will be awarded to winners within 24-48 hours after contest close. Posts must not contain any language that is obscene, insulting, threatening, abusive, harassing, defamatory, libelous, untrue, misleading or invasive of someone else’s privacy. Toluna reserves the right to review all posts for content, and withhold bonus points from any user violating the rules mentioned above. Thanks MsPennyPincher for creating great content, and sharing your interests with the community!